I'm running low on copies of my (tragically) out-of-print novel, so I ordered a couple for $1 each from one of those used book warehouses (that are now doing to small used-book stores what Amazon did to independent bookstores). 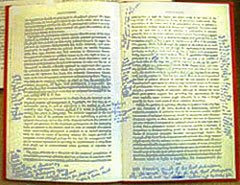 I was thrilled to see that someone had underlined something in one of the copies, though only one line: "I'm sorry. It's boring to hear about other people's dreams." Seriously, I love that. I love seeing evidence that someone actually read that bit and had a thought about it... and that by the weird process that the book-writing business is, a thought from my head whirled out into the world and came back underlined. And why that line? And what made the reader pick up her pencil that moment, and no other? Which is why I think people should write in books. I love the idea of a book as a conversation, or as an artifact that is physically altered by the act of being read. (A friend once cut up, glued, and painted a copy of my book and turned it into a sculpture. She worried that I'd be offended, but it was an incredible honor.) Why should a book look and feel unread if it's actually spent time with someone, had a relationship with someone? JRL doesn't really agree with me, and won't even dog-ear a page. But he doesn't seem to mind the other thing I like to do: slipping notes and letters and business cards and whatever between the pages to find years later, or whenever I next take a book off the shelf. What do you think? Clean or cluttered pages? So I finished Roxana Robinson's novel Cost, which I picked up last week. It started slowly, and I took a break from it to read Aoibheann Sweeney's pretty good first novel, Among Other Things I've Taken Up Smoking, (which I might post about later). I mentioned in my last post that Robinson said she wrote the book -- which is about a family dealing with a son's heroin addiction -- without an outline, and without even an idea about what was going to happen. This had (at least) two apparent effects on the resulting narrative: one is that some of the scenes are pretty long and wandery. But the other is that the reader is entirely in the moment with the character. I realized that if the writer doesn't know what's going to happen, the reader doesn't either -- exactly like the character. In one incredibly gripping scene, one of the main characters escapes from the hospital. "Where the hell does he think he's going?" I thought. Writing it, Robinson didn't know either, and I realized that if she had outlined it, the end of the scene would have been a total set up. Robinson would have, consciously or unconsciously, planted clues: a phone number stuffed into a pocket, an earlier conversation that could be recalled to provide an easy resolution. The reader would almost know how it was all going to turn out, because if the writer knows, she just can't help foreshadowing it. That's how we do it -- we can't even help it! It makes things so nice and tidy to set up a plot like that and let it roll inevitably out. It feels good, on some level, but it's not like life (not that novels have to be like life, but that's another post). Nothing in Cost is a set-up, and as a result the novel is brilliantly, excruciatingly, realistic. It has a vivid, life-like, tumbling-into-the-void quality. And this quality makes up for a lot of things about the novel that would have otherwise put me off: the comfy, conventional characters, and the fact that most of them are awfully selfish and mean to each other. I don't mind reading about unlikable characters, but these people seemed unrealistically harsh. In fact, it made me wonder if my view of human nature -- that it's the rare person who can stay cold and self-involved in the face of another's suffering -- is actually wrong. Maybe many people are like this! The positives of Cost far outweigh these negatives. It is, above all, a terrifying portrait of heroin addiction. But it's also a careful and sensitive analysis of how families evolve over time -- what happens to memories and feelings when relationships change, when parents divorce, children grow up and move out, when grandparents get very old. Yeah, something of a downer. But a great read. Robinson is so good at following the thoughts and revelations of each character -- all the details feel right, all the emotions too. The novelist and short-story writer Roxana Robinson (whose stories I've read and admired) gave a reading at the bookstore where I work last Saturday. I'm not big on readings unless the reader is a friend of mine -- I usually just prefer to read with my eyes. The excerpt she read from her novel, Cost, about a family dealing with a heroin-addicted son, was good enough to make me to buy the book, but it was the Q & A session that really got me thinking. Robinson said a lot of smart things about the writing process. She talked about how she writes short stories toward a specific moment, writes novels differently. She writes "character-driven" novels, and doesn't make an outline when she starts writing. She lets the characters go where they need to go. Though she didn't say this, I thought it: It takes guts to follow characters and let that be your novel. Because, yeah, you can call it "characters" but it's really you, your subconscious, that you're following. 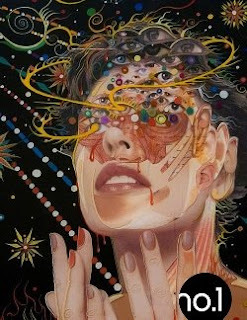 And if you're like me, you second guess everything that pours automatically out of your mind. You might even second guess it to death. Writing without a map requires an awful lot of faith that your ideas are good enough, though this faith might be an automatic thing. Then it struck me that, yeah, Roxana Robinson does have guts. In fact, she might be one of the most poised and confident people I've ever met. She said everything with strength and certainty, no wavering, no dithering. She was actually terrifyingly confident. At least she came off that way. But it's hard to fake. It made me think of a number of other women writers I know, good ones, and the fact that they, too, are noticeably confident. 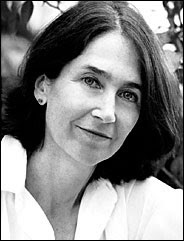 It's usual for American women to be somewhat self-effacing -- I know I can be -- but the really good American women writers I know, generally, are not. Yeah, I know, this goes for men, too. But extraordinary confidence is more usual, though far from universal, in men. Like a necktie, you hardly notice it on a man, though you do on a woman. Confidence is more than just the ability to self-promote, though that doesn't hurt. Confidence enables work. It enables you to trust all the thousand instinctive decisions you have to make when you pull a character out of your unconscious, wind him up, and let him go. So here's the question: Where does it come from? How does a person acquire the almost unearthly confidence required to persist in this business? I'm about to spend a few days teaching at the Colgate Writers' Conference, in Hamilton, New York, not far from where we live. I generally don't seek these things out, preferring to spend my summers picking lint out of the furrow in my brow, but I read at Colgate a few years ago and thought everyone there was kind, friendly, and a lot of fun. So this year I went all-in. We have only taught at one conference before, in Michigan back in the early 2000's, and though the people there were also quite nice, every single one of Rhian's students dropped out--I think one was sick, one was in rehab, two of them locked themselves in their cabin drinking all week--something like that? And she ended up sitting indoors with our then quite young and feisty children, rereading the handful of books she'd brought and going out of her mind with boredom. Anyway, I'm surprised now, as I was then, at the range of work students submit--all the novels I'll be critiqueing this week have problems, but all of them have a lot of potential too, and I'm looking forward to discussing them with their authors. But really, I'm not going to lie to you here, I am getting some of that frisson of anticipation as I wonder what kind of crazy drama might ensue in the coming days--a fire? A nervous breakdown? A torrid affair that ends up with people half-naked and unconscious in the middle of the street? I wish no ill fortune on anyone of course, but the novelist in me (specifically, the Alison Lurie in me) is hoping for fireworks. In any event, I'm bringing my cameras. ...and if you're in the Hamilton area, stop by campus Monday night, I'm going to read a new short story, alongside my friend and colleague Alice Fulton. One more from me before I get back to my other writing. I got an email this morning from the people at this new mostly on-line literary magazine, and though we're reluctant to do publicity for people, it looks sort of interesting and has got me thinking about the future of literary magazines. So I'm going to go ahead and talk about it before I've even read it, as dubious a proposition as that is! Most notable, to me, is the fact that they pay writers $1000 a story -- a pretty foolproof way to get big names attached to their mag, and first dibs at a lot of genuinely good stuff. How many magazines pay that much for stories? Maybe five. Also notable are the J. Crew models licking frogs and swilling malt liquor on the website -- shorthand, I suppose, for We are not going to be publishing William Trevor any time soon. Also, We are trying extremely hard to look hip. The feel of the stories (you can get a preview on the site) seems a little strenuously outré, kind of like McSweeney's minus the cute, plus Bladerunner. You can get a print-on-demand hard copy of the magazine, too, and if one arrives at my bookstore, I'll definitely read it. Though I'm still trying to process that woman with the frog. The big question: how can Electric Literature afford to pay $5000 for content every issue??? Plus more to pay the guy who has to read all those jillions of submissions they're going to get, keep the office lights on, bandwidth, or whatever. It seems crazy, but time will tell. Maybe big pay for writers combined with an aggressively unstuffy look is a winning formula. First, I want to apologize for those fans of JR who miss his commentary, but you are stuck with another post by me. While he is in Iowa I am alone with our trained Akita, Bootsie, a rack of hunting rifles, and too much time on my hands. In the comments of my last post our old friend Diana (a very funny and successful romance writer) suggested I read the New Yorker article about Nora Roberts. Our copy hasn't arrived, but I managed to sign up to get it online. Oh, yeah, and I also ran out and got a copy of Roberts's novel Tribute. You can read the first few pages on Amazon, if you're interested. So, what do I think? I have a lot of respect for anyone who writes something that so many people want to read – and Nora Roberts clearly does it well. In fact, if I could wave a wand and have her career, I would. Because you know what I want? I want to spend my day typing and typing and making things up and producing books, and I don't really care how I do it. But, I don't like her books. I don't think they're beneath me in any way – I read truly trashy stuff all the time (true crime, celebrity gossip), so it's not a matter of snobbery. I'm a compulsive reader, and my life would be a lot easier if I enjoyed her books, because there are a lot of them. My grandmother, also a compulsive reader, used to come visit us with a towering stack of romance novels, which she would churn through during her stay. At the time I had a towering stack of Hardy Boys, Nancy Drew, and the Three Investigators books, and I assumed I would one day graduate to romances. And there are probably romances I would like, though I'm really not that invested in the whole boy-meets-girl, etc, thing. A lot of writers are taking their books out of their genres and playing with the rules. (I would guess for romance writers, playing with the rules is part of the fun.) So right now I'm not talking about all those other romance writers -- I'm talking about Nora Roberts, who is probably a genre unto herself. But I'm finding Tribute to be excruciatingly boring. For the most part the writing isn't bad -- in Tribute , some of the early lyrical descriptions are, in fact, bad, but she seems to drop this mode pretty quickly and revert to a more expedient style once she gets going. But it's all just really, really uninteresting. By uninteresting, I mean lacking in the stuff that, to me, makes writing worth reading: surprisingly apt descriptions, insights, humor. The characters seem dull and unrealistic. The landscape is rendered with strange blurriness. In the NYer piece, Lauren Collins says: "Like campfire stories, Roberts's books rely on verve and familiarity, rather than any particular polish or originality." That sums it up. Her audience prefers familiarity -- at least familiarity with "verve" -- to originality. Instead of campfire stories, Collins could have compared Roberts's books to any popular thing in American culture, really: Applebees, American Idol, jeans, new cars. These things all generate comfort, rather than stimulation -- though I guess all books generate both, in some degree or other. You know, having said all this, it seems like I'm wasting my breath: it's so obvious! But you know, when you do something in a particular way, and the force of popular opinion tells you you should do it in a different way, it's worthwhile figuring out exactly where you stand. But I repeat, I respect what she does. She pleases millions and millions of people and brings something valuable into their lives. And like I said: if I could write those books, I would do it, for the satisfaction and the bucks. But it's a particular talent that I don't think I possess. So, what do you think? 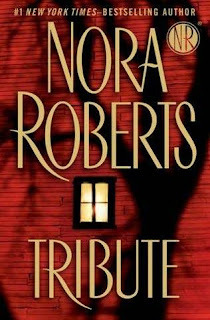 Is it snobbish, stuck up, apt, misguided, idiotic, or what to compare Nora Roberts to Applebees? I'm eager to hear your opinions. JRL in Iowa City, Tuesday night the 16th! At the risk of squelching Rhian's excellent post (please keep commenting on it! ), I would like to remind our readers that tomorrow night (that is, Tuesday June 16, 7pm) is your last chance to catch the J. Robert Lennon variety show this year. I am reading from the two new books at Prairie Lights in Iowa city, IA. Last time I read here was...September 11, 2001. Ask me to tell you all about it sometime. Hope to see some of you tomorrow...I'll be reading a bit from Pieces and a bit from Castle, and probably going out for drinks afterward. Come out, have a listen, and tip back a few with me. Yesterday I was eavesdropping on a writing workshop for children held at my bookstore. It was an excellent event: the kids had a great time and the teacher, who is a children's book author, really engaged them. But she said something that kind of startled me. "Your character has to want something," she told them. "They have to want something really badly, and it has to be something that's really hard to get. That's the engine of your story." This startled me because it was a piece of advice I hadn't heard until about 2004, after I'd been writing pretty seriously for almost 20 years, and a few years after I published my novel. No one said this to me in elementary school, or in high school, or in college or graduate school. I didn't hear it until I was in a writing group with friends who wrote romance and young adult fiction. My friends described a method of figuring out a goal and motivation for each character and then making sure they conflict with each other. My friends actually made charts. It seemed like a very efficient way of putting a plot together, so I tried it, but had trouble making it work. My mind is almost freakishly disorganized for tasks like this and I just couldn't find a way to fill in the chart so it made sense. This is not to say I hadn't heard about the concepts of motivation and conflict before. It's just that usually the terms came up when discussing what might have gone wrong with a story -- not enough conflict, wonky motivation. I had never sat down to write a story with these things in mind. I never thought of them as the engine of the story. Characters tend to want things, and problems tend to arise, and these situations usually came out of the elements of the story I was focusing on -- some feeling, some place, something. When you examine most recent novels or screenplays, you can't help but notice that there's a very strong goal-motivation-conflict structure. I watched UP with my kids recently (in 3D!) and every single character, even the giant, voiceless bird, had a very clear goal and motivation that conflicted with the other characters' goals and motivations in really obvious ways. It was actually kind of irritating, because the conflicts just deteriorated into logistics by the climax (one too many people dangling over precipices for me). The movie seemed enslaved by its structure. My suspicion is that this way of structuring a story came from screenwriting, where there just isn't enough space to fool around and slowly figure out what you're trying to say. And then it worked its way into genre and literary fiction (though if I had it my way, there'd be no such distinction). And I don't think it's a bad thing, entirely. But I do think it can be limiting. Not every story is about someone desiring something they can't have. Sometimes what motivates a character is hidden from the writer, or from the character, or just isn't part of the story at all. But I do wonder if my writing life would be different now -- if I'd be a little more focused -- if I had heard in third grade, "Your character must want something." What did they tell us in those days? I think it was something along the lines of, "What if?" Like what if you woke up, and you were a dog? What if you were a princess, trapped in a lonely castle? What if you were an orphan cowboy? Though we did precious little creative writing at all in elementary school -- I'm pretty convinced the 1970s were the nadir of language arts instruction, and the reason why my generation hardly reads at all. And in college? In the late 80's we were all about Carver. Ha ha! A little Goal-Motivation-Conflict would have headed off a zillion self-indulgent ruminations on cigarettes and vignettes about people washing the dishes. Anyway, I don't really know what people are talking about in writing classes these days, so maybe I've got it all wrong. But my sense is that young writers these days are much more focused and goal-oriented, and their stories are too. And perhaps the aimless, instinctive writing we did in the Carver era was kind of a mis-step, and turned off a lot of readers. At the same time, I would hate to think that kids are growing up thinking that a character in hot pursuit of a goal is the only kind of story. 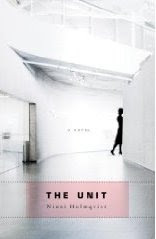 JR found a copy of The Unit, by Ninni Holmqvist at the bookstore and after reading a page knew I would love it. It's a dystopic novel originally written in Swedish -- no, not particularly promising, since I don't go out of my way to read dystopia fiction or books in translation. But what got me was the voice: it is intimate, confessional, reserved, and rigorous. Let me tell you, I fall for that stuff. And the premise: a woman is taken from her home to live in what appears to be a giant shopping mall, but which is actually an organ bank where "dispensible" people live out their last days. Literary crack! I read the book in a couple of sittings and wish I'd made it last longer. Oh, well. Unlike so many books I've read recently that start brilliantly, this one fulfilled its promise; it's intelligent, thoughtful, strange, beautiful, and utterly unputdownable. Lately I have been enjoying many things Scandinavian: the poetry of Malena Morling (though she writes in English, she herself is Swedish); the music of Sigur Ros and Mum; craft books like Simple Sewing by Lotta Jansdotter; the work of Tove Jansson; Swedish crime novels. Oh, and of course my IKEA sofa and glogg. What is it that unites these things? I think it is stylistic clarity and simplicity combined with a rigorous refusal to fall back on cliche. So much of what is simple in America reverts to shorthand: our "simple" music uses the same old handful of chords, our simple crafts the same old cross-stitch patterns, and our simple genre fiction the same old plot structures and flat characters. 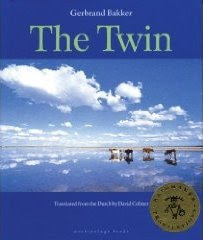 I also want to mention Gerbrand Bakker's The Twin, which was translated from the Dutch. The Netherlands isn't Scandinavia, but this book shares an alluring clarity of style. However, the story itself is much slower and requires much more patience: a bachelor farmer deals with the fallout of his twin brother's death many years before. The story depends on the slow accretion of event and detail, and it reminded me very much of Ha Jin's Waiting -- while reading both books I found myself wishing things would get rolling already, but in retrospect saw that the stories were about things not happening. Anyway, it's an excellent novel with a happy, breakaway ending. Two passing occurrences this week. One, Rhian and I were talking about our kids and their music lessons, and just how hard they should be expected to work on their instruments. I was on the side of greater lenience, mostly because that's how I learned music--after a few years of piano, I just fooled around until I figured stuff out. And Rhian said, "Well, you don't like practicing anything." It's true--I generally get just good enough to play something, then I record it, then I never play it again. I get bored practicing--I only like performing, and usually in front of a microphone, not an audience. And then today I was listening to the radio and heard an interview with the legendary guitarist Jorma Kaukonen, and he was talking about trying to play a certain style of guitar that he once knew how to play quite well. And he said that he can no longer play this way unless he really practices for an hour, and even then he's still not so hot. Okay, his not so hot is, to most people, virtuosic, I'm sure. But I suddenly realized how foreign this way of thinking is to me. Practicing for its own sake--it's true, I've always hated it. And I think this is why I ended up becoming a writer. The musician rehearses in private far more than he performs in public--indeed, most of his effort is not supposed to be heard. But the writer generally thinks whatever he's doing right this minute is going to be presented to the world. Well, I do anyway, sort of. Rationally, I know that my first drafts are merely my first drafts. But when I write them, I am indeed performing to the audience. That audience, in my mind, is often just Rhian or Ed, my co-bloggers, but it's an audience. The difference is that this is a performance that can be refined over time, before anyone actually ever "hears" it. 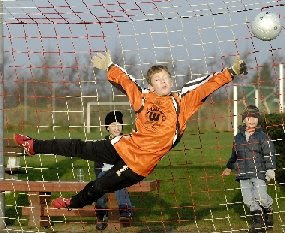 The practice and the performance are the same thing. As a writer, I only perform, and every performance matters. And in the end, bits of every performance do make it into the final work; the work is a palimpsest of drafts, a secret patchwork. I suppose this is why I got back into music, after a break of many years--because audio recording technology now makes it easy to play like a writer, trying different things, and only keeping the best bits. But writing will always be different from music performance in one particular way. Though everyone is born with the ability to understand and appreciate music, playing it is something that must be learned. The body has to be trained to do it. It's natural, but it is accessory to the necessities of living--you will do fine in life without it. Language, on the other hand, is necessary, a vital part of being human. Everyone learns how to do it without even trying. Writers are merely people who strive to make this ordinary thing extraordinary--to wield a familiar tool in a new way. Ultimately, I am more impressed by musicians, perhaps especially because I've tried to be one, and know how hard it is to be a good one. Good writers work hard, of course, but I suspect they rarely feel like they're doing something special. Rather, they are doing what they do, and learning as they go. The feeling of virtuosity in performance, on the other hand, must be transcendent. Not that I'd know. Last night, Rhian and I watched a really excellent movie--the new Jonathan Demme picture, Rachel Getting Married. The film is a domestic drama starring Anne Hathaway as Kym, a drug addict returning home from rehab to attend her sister Rachel's wedding. The scenes that follow sketch out the family's eccentricities and dysfunctions, including a terrible tragedy in the past, for which Kym is responsible, and which has torn the family apart. In conception, the movie is fairly conservative--this is the stuff of conventional drama, and the kind of thing actors like to enjoy surpassing with their performances. But Rachel Getting Married isn't a normal movie at all--it is, in fact, a literary work, more literary in ambition than most of the literary novels I've read in the past year. What do I mean by this? I mean that what the movie is really about is, as Rhian put it afterward, the Mystery of Other People. It is concerned very little with plot, save for the open secret that drives it; rather, it is interested in what people are like and, more importantly, how much of what they say and do is against their nature. Rachel, the sister (played by Rosemarie DeWitt), is a wonderful character, by turns sweet and loving, and embittered and immature, and just when you think you know how she's going to react to something, she does something different. All the characters are like this, in fact, confounding our expectations, yet gradually adding to the picture of whom they really are, until what we end up with is a complex, interlocking plot strands, tiny mysteries, that we come to understand make up the fabric of life. There are ways in which the movie is highly implausible, filled as it is with interracial harmony and unexplained affluence and good health, and yet it feels realer than anything I've seen lately. That's because it leaves everything unexplained. All the characters remain enigmatic; even the most pointed plot question--was Kym entirely to blame, or not?--remains unanswered. This is what I like a book to do: make sense by not entirely making sense. Too many stories force characters to stay in character, to be what the writers have declared them to be, right up to the bitter end. Real personality, on the other hand, is elusive, protean. You can never really know anyone, and that is why they are so interesting, because you convince yourself over and over that they are knowable, that even you are knowable to yourself. And yet there are always, always surprises. Even if you're really cooking on your work, you have to stop sometime. I haven't met anyone who can consistently write all day, or write, say, ten pages in a day. At some point, even when you are on a tear, the writing can go from excellent to moribund in an instant. The worst part is, you often can't tell when the transition takes place. When I was writing Mailman, my fourth novel (and the one I had the most fun writing), I would sometimes exceed my allotment, in the excitement of the moment. When it came time to pare down the monstrous thing I'd made, I could tell precisely where I went off the rails each day--it was as clear as cracks in the sidewalk. Many writers don't have the luxury of being able to maintain a consistent schedule. But when I'm working on any kind of extended piece, especially a novel, I do my best to set aside the same time each day for writing. I'm a morning person--I do almost all my writing these days between 8am and 11am on the sofa, in my pajamas, with my HP laptop (running Ubuntu Jaunty of course) on a little lapdesk that Rhian had before we met, the underside of which is stuffed with little styrofoam pellets to create a comfortable contour for your legs. But it isn't the hours that form the parameters of my working day--it's the pages. I have to write four pages, period. If it's mostly dialogue, or short paragraphs, I finish quickly. If it's complex or sustained narrative, it takes longer. If I'm still excited after four, I might continue for one more, but I learned my lesson with Mailman. More likely, I run out of steam after two, and have to push myself. But the forced writing is usually better than the overrun writing. This is the Graham Greene method: quantity, not time. Other writers go by the clock. They will write for a set number of minutes or hours. When Rhian was working on getting her chops back after a long break, she wrote ten minutes a day for a couple of weeks, no more. Eventually she was ready to expand. (I dunno how long she's going these days...she is very secretive about her writing habits). I understand the time-limit method, but my mind doesn't work that way--I have an amount of work I can do in a day, and it doesn't matter how long it takes. Four pages is, I've discovered, the amount of half-decent writing I can do, and I am not eager to mess with the formula. What's your method, hours or pages? Or are you completely haphazard? And if so, how's that working out for ya? I've had kind of a mixed history with Ron Carlson's work--back when Rhian and I were in grad school, I loved his story collection Plan B For The Middle Class, which was funny and unsettling and diverse in approach. Carlson was kind of a poor man's John Barth, or a more accessible one, anyway. I didn't exactly become disillusioned with Carlson--indeed, I think he kept up the quality over the years. But it seemed to me his stories were treading over familiar ground for a long time, and I never did get around to his novels. I figured I owed him another chance, and when I saw this new novel, I decided it was high time. The book is short, has an intriguing title and a cool cover, and I ended up reading it in a single night. I must say, in spite of an opening sentence that reads like self-parody, it's quite good. It is, like my own recent novel, about a guy who goes into the woods and bad things happen, and it's written in blunt, precise prose, and moves very quickly. (The first sentence that I disliked is thoroughly anomalous.) Indeed, it's as straightforward a story as I've read in recent memory: a man named Mack has gone off the rails and ended up in jail; when he gets out, his ex-wife agrees to accompanying him on one last chaste backpacking trip, to say goodbye. But Mack is tangled up in some kind of shadowy criminal enterprise, the outlines of which even he can't see, and he is equipped with a waterproof military-grade BlackBerry which is supposed to help him find some mysterious electronic object in the woods for his sinister employer. We get the story of his life and marriage, cut through with various kinds of menace, which all turn out to be the same menace. And in the end, the book turns into a very fine meditation on masculine failure, combined with Jack-Londonesque adventure scenes, a bittersweet love story, and a moment of bizarre macabre high-tech weirdness that appears flown in from a Neal Stephenson novel. I have to admit, I like the high-tech weirdness, even though it is completely extrinsic to the story. And the ending is satisfying--perhaps too satisfying, and certainly very dramatic. And I think that, after all these years, I like Ron Carlson again.